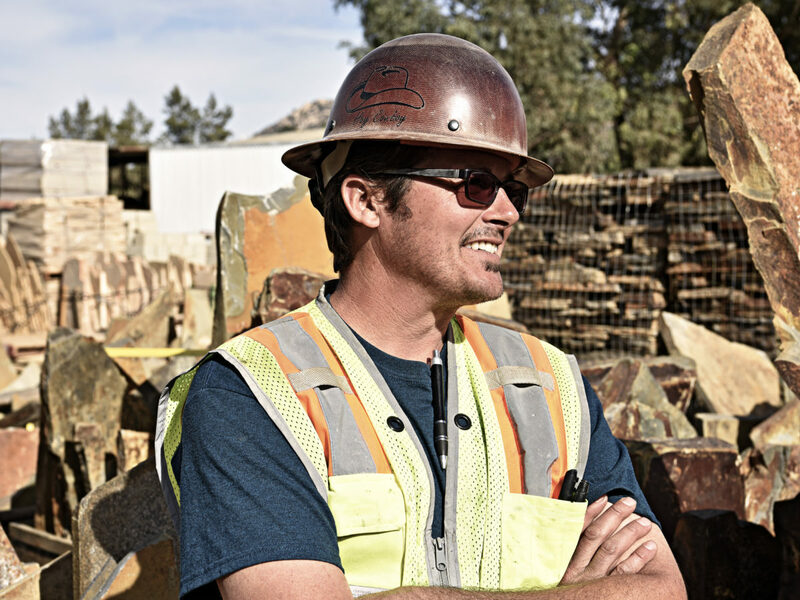 Southwest Boulder & Stone is thrilled to announce the addition of Riley Fritsch, custom stone fabricator and master artisan extraordinaire, to our team. As the lead artisan fabricator for National Quarries from 2002-2015, Riley has a lifetime of experience working with heavy equipment. Some of his most well-known local pieces have been for Stone Brewing World Bistro and Gardens in Escondido. You can view a behind-the-scenes look at a sink he created on Stone Brewing’s YouTube channel. The 12-foot wide seal in front of the Temecula Civic Center is further evidence of Riley’s stone-shaping expertise. We are delighted that Riley has decided to join us at Southwest Boulder & Stone. 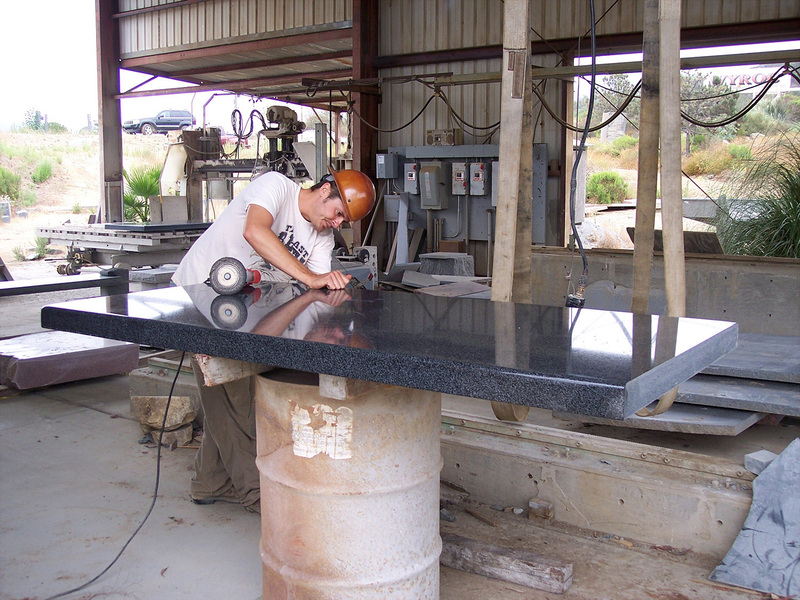 He brings a new range of custom stone fabrication services to our loyal customers. This means a brand new level of service for architects and designers. You’ll now be able to choose boulders and work directly with Riley to realize your vision. Riley also thoroughly enjoys the process of working with clients. His process can involve visiting an architect’s project location to get a sense of the space. Or, he can visit a client’s house to observe the design of the home so he can flawlessly fit the stone sculpture into their lifestyle. 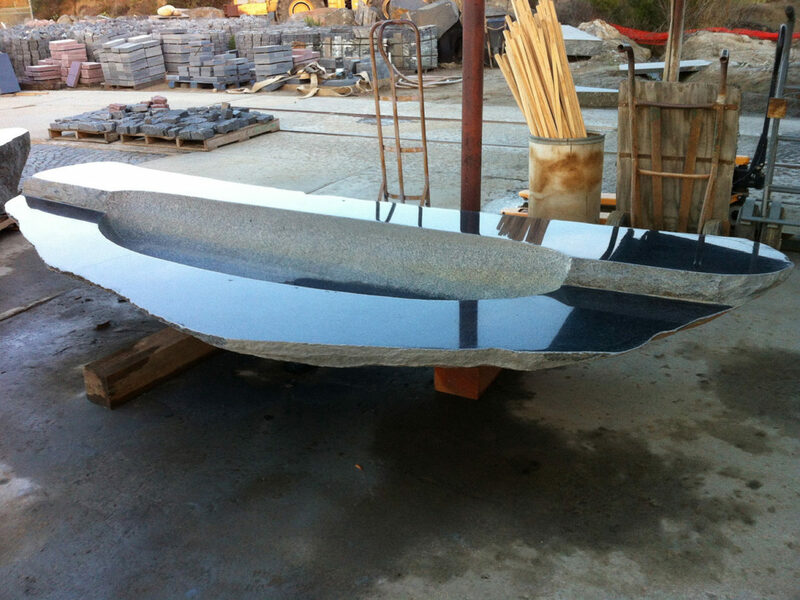 Clients can pick out the perfect stone piece with Riley and be 100% involved in every step of the process. A large diamond-wire saw formerly located at National Quarries was purchased by Southwest Boulder and relocated to the Fallbrook store where it sits today. 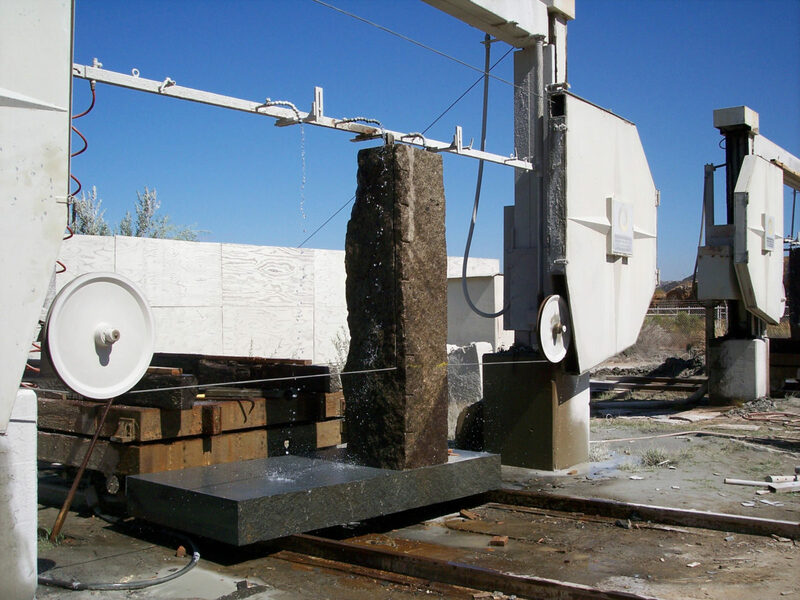 This incredible piece of stone-cutting equipment is capable of performing cuts on boulders up to 12 feet wide by 6-7 feet tall. We have also added a bridge saw to our arsenal which provides a consistently clean cut at a high rate of production. Thanks to this special technology and Riley Fritsch’s expertise, we are very proud to be the only company in Southern California who can offer use of this industrial saw as a service. 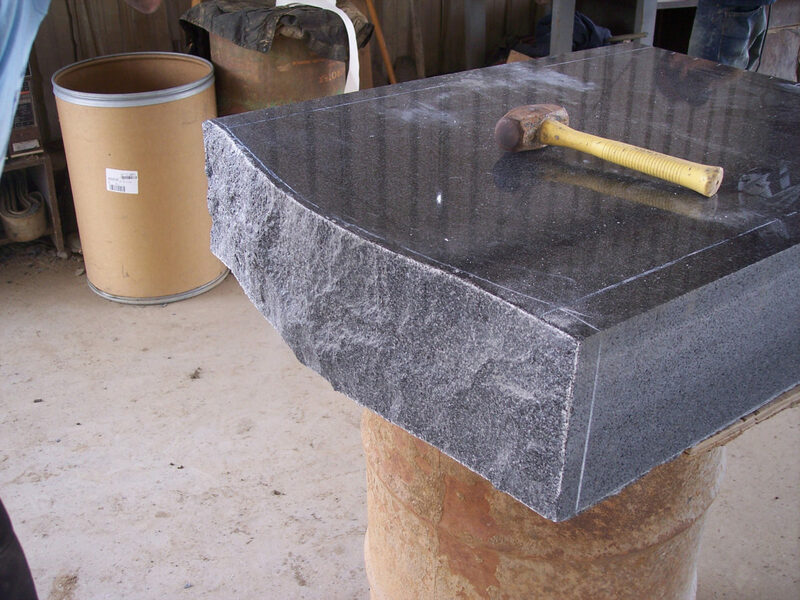 Custom stone splitting is a technique for trimming rocks in half. Use this service to make one boulder into two, and place them split-side-down to achieve a buried look without needing to bury 1/3 of the boulder underground. 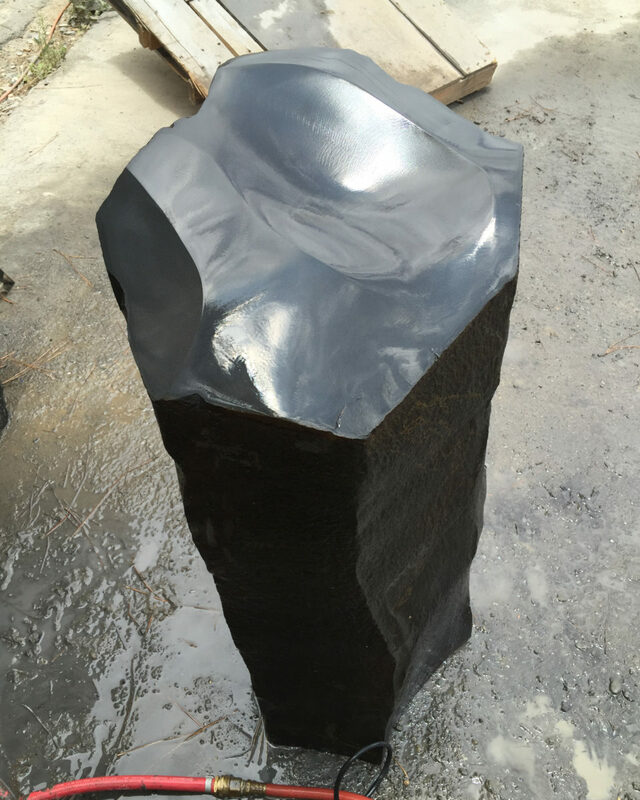 Create a reflective shine on the surface of your stone piece. This meticulous method starts with a rough stone and involves a 13-step prepping and polishing process. It is often used in stone sculptures and art, countertop edges or to create the ideal surface to mount a plaque. 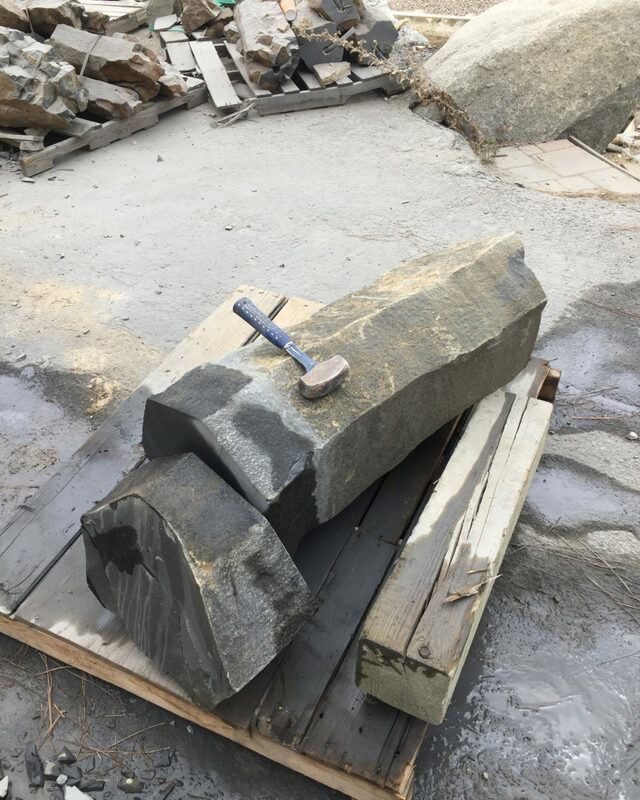 This ancient chiseling technique is used to create a rustic and natural look on stone. Think of the rough, undulating surfaces of an old castle wall. 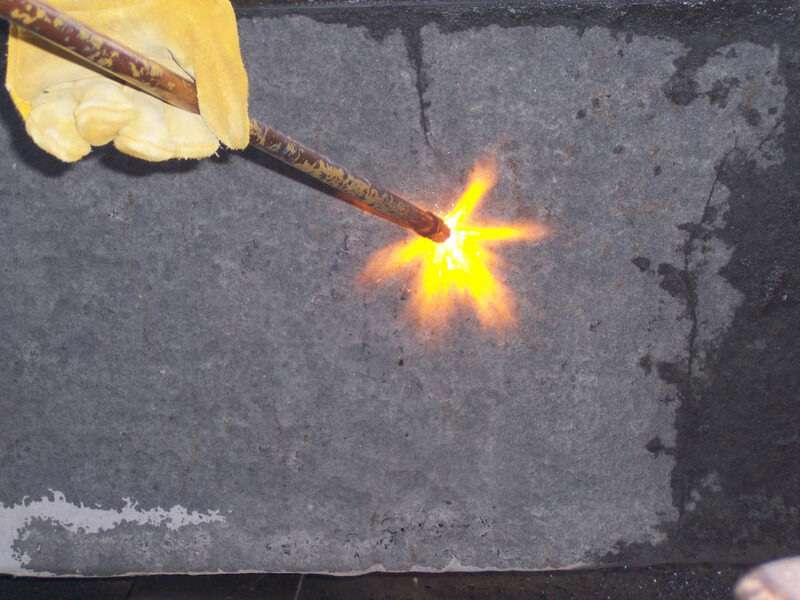 Custom stone flaming is a favorite technique of architects and designers. 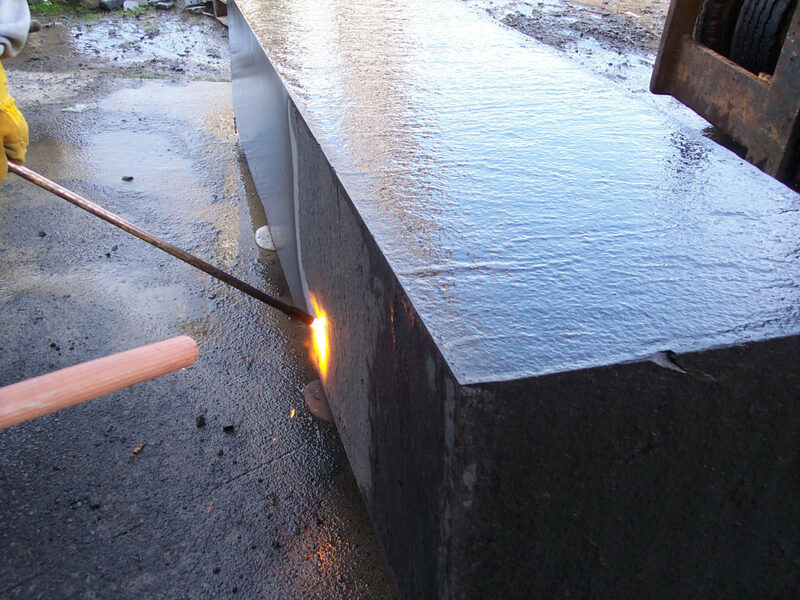 Flaming lightens the color of stone and helps to create a rough, non-slip surfaces. It is often applied in stone art to remove the clean sawn look. Flaming heats up the quartz inside most types of stone, causing it to swell and expand. 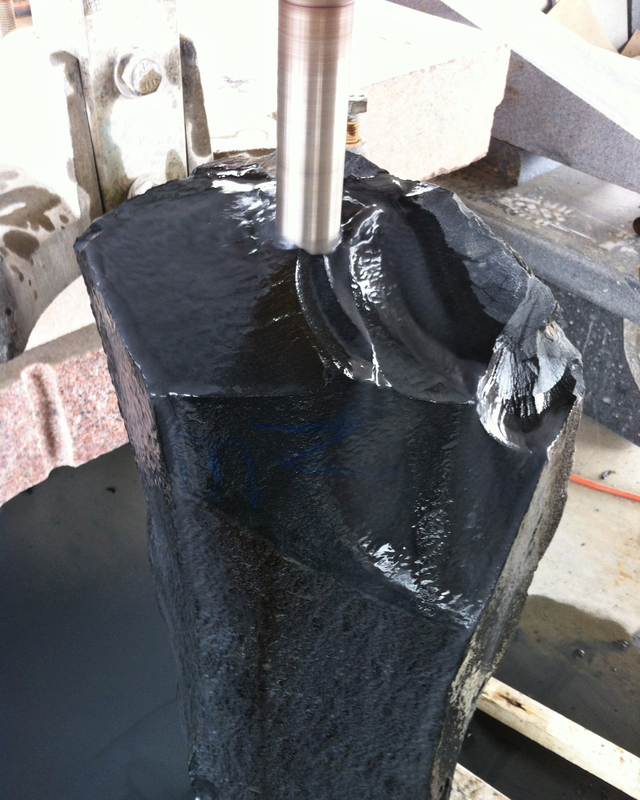 Core drilling is one of our most popular services. 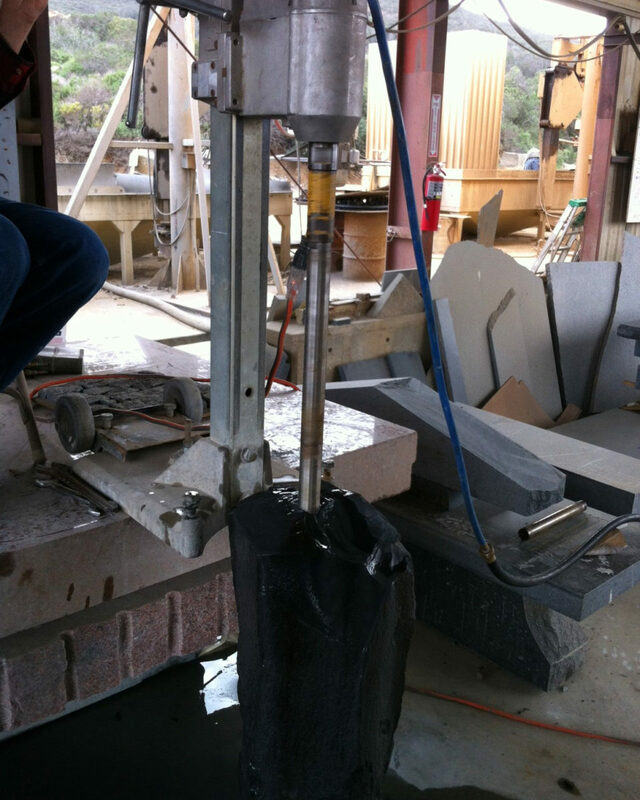 Custom stone drilling can be used to create holes in stone without causing any cracking or splitting. We are ready for anything. 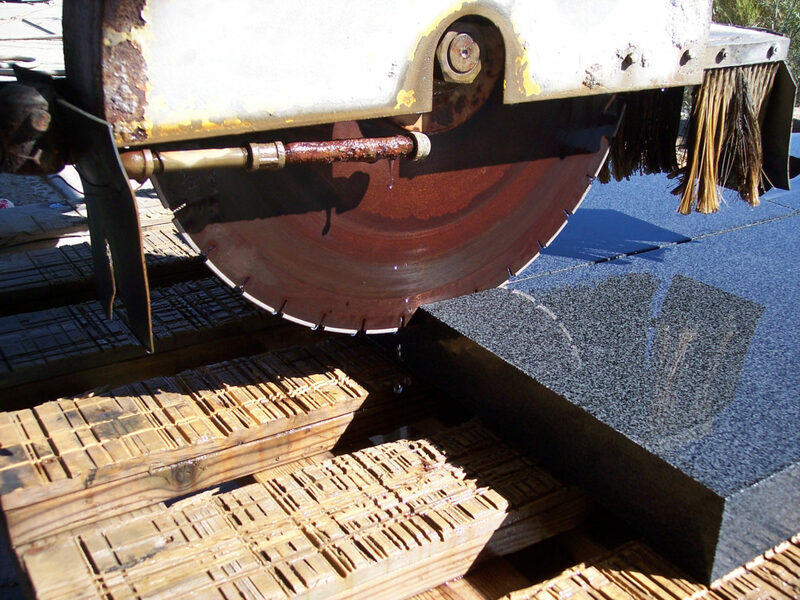 We use a bridge saw for cutting slabs and smaller pieces and a diamond wire saw for larger and trickier applications. The large diamond wire saw from National Quarries is now installed, capable of performing cuts on boulders up to 12’ wide by 6-7’ tall. 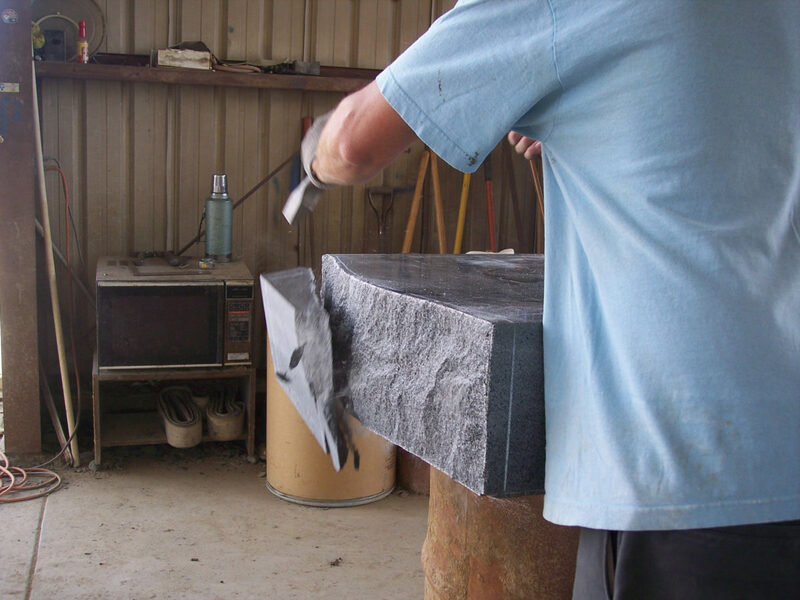 Riley’s personal favorite, stone carving covers a broad spectrum of things, whatever your project might want or need. If you can imagine it, chances are Riley Fritsch can set it in stone. All the above services will be combined as needed to shape your unique piece. We couldn’t be more excited about what the future holds as we partner with Riley Fritsch and put our new diamond-wire saw to work. Southwest Boulder & Stone is moving up to the next level in stone fabrication, and we invite our customers to come along for the ride. 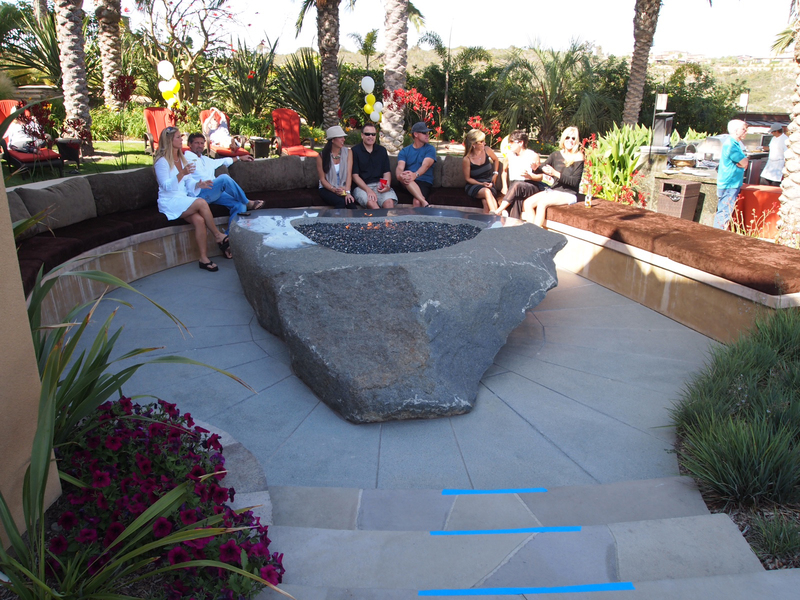 We can’t wait to see what we’ll create together with stone.